Dr. Daniel S. Pyle is our newest guest director. Daniel comes to us most recently from St. Saviour's Church in Bar Harbor. He very kindly loaned us his harpsichord for our winter concerts! His previous position was at the Church of Our Saviour in Atlanta, Georgia. 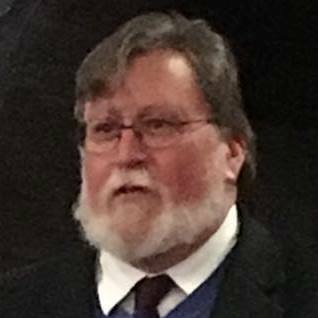 Daniel has forty-five years’experience as a church musician in Episcopal, Lutheran, and Methodist congregations, and has been an instructor in church music at the Candler School of Theology. He holds Bachelor’s and Master’s degrees in Music from the University of Alabama and a Doctorate from the Eastman School of Music in Rochester. Daniel is particularly interested in Baroque and Early Music; he and his wife, Catherine Bull, are the core of Harmonie Universelle, a Baroque ensemble that has recorded and toured in the US and Europe.